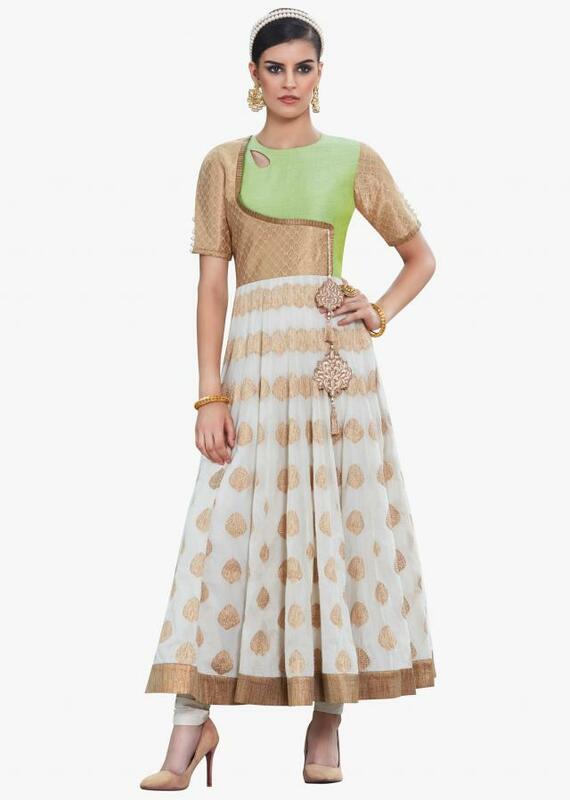 Make all heads turn with this green and off-white anarkali suit. The upper fabric is featured in raw silk and the below flare is in cotton silk. The suit is intricately designed in brocade work also the weaved butti embroidery at the below flare. It has a embroidered tassel attached and a golden lace at the neck line. The bottom comes in lycra and a green dupatta in net.